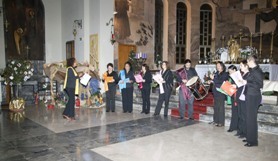 The Christmas season in Rhodes usually begins with the Ecumenical Service of Carols and Benediction which is held in St Francis Church and is attended by large numbers of Rhodian families of all denominations eager to celebrate Christ's birth with the carols that are so beloved of us all. 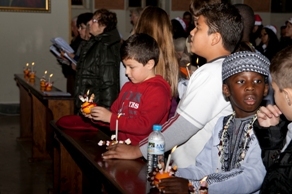 Carols are sung in several languages and each year we try to add another. 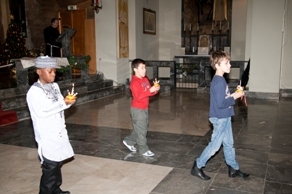 There are at least twenty nationalities represented in our parish, reflecting the universality of the Catholic Church, and this extends to the broader population of our multi-cultural island of Rhodes. 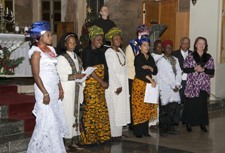 This year, as well as English and Greek, we sang carols in Spanish, Polish, Danish, German and ... Yoruba!